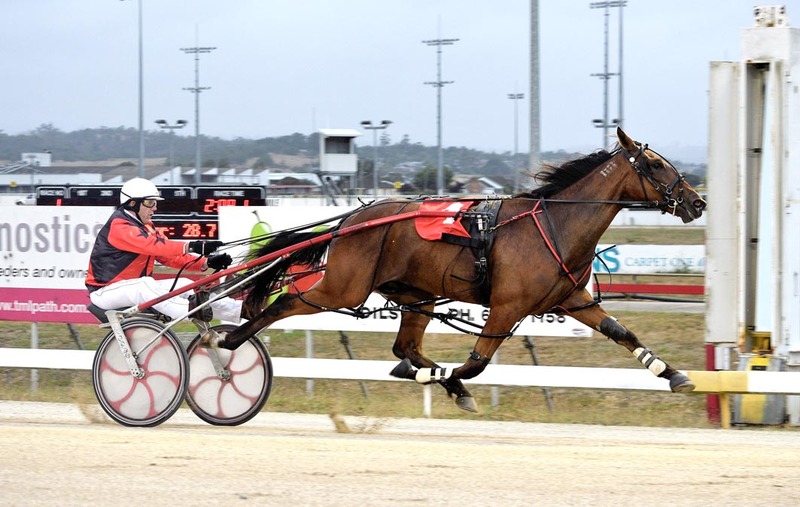 TASMANIAN trainer Kent Rattray experienced the highs and lows of harness racing yesterday. Breaking-in a youngster at his Lietinna property, Rattray was tipped from the sulky, which resulted in two broken ribs. “It was just one of those things in training that comes with young horses,” Rattray said. “I’ve ended up with a couple of broken ribs, so I will be out of action for a while. Later in the evening Rattray gained some pain relief when Ideal Karalta and Sunny Sanz were successful in Launceston. Driven by John Walters, Ideal Karalta led throughout from barrier three to capture the opening event on the card. The three-year-old rated 2:01.7 over 2200 metres to account for Keep Playing and Beam Me Up Chopper. “It was terrific to see him win,” Rattray said. “He’s had injury after injury, but hopefully I’ve got him right now and he can keep going. Rattray then bookended the program when Sunny Sanz maintained his perfect record from three starts. Also driven by Walters, the son of Sportswriter raced in the ‘death seat’ before scoring by 22 metres from Rowley, with Jackson Neptune three-and-a-half metres away third. Bred and owned by Nathan and Sandra Bennett, the two-year-old rated 2:00.1 for the 1680-metre trip. “Getting a pair of winners definitely helped eased the pain and made life feel a little better,” Rattray said. “It was actually Sunny Sanz’s younger brother which tipped me out.